The rural arts studios and gallery space, completed in 2013 at Stepney City Farm after three years’ planning and consultation, is a unique facility amongst all of London’s City Farms. 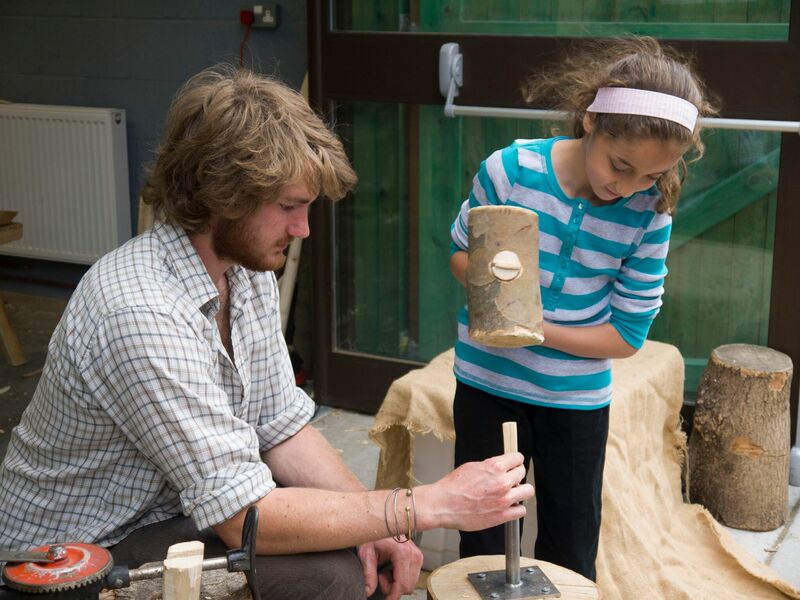 Through observation, engagement and education, the Farm’s studios showcase traditional trades, crafts and arts. The building provides dedicated workshop spaces occupied by three artists in residence practising crafts with historic and contemporary significance. Each of the three studio spaces has a large glass front allowing visitors the opportunity to observe the artists whilst at work. A small dedicated Gallery space provides opportunities for both ‘in house’ and non-resident artists to exhibit their work. If you are interested in exhibiting, please get in touch. Regular natural fabric dying courses are also offered in the Gallery space by Modern Eccentrics.